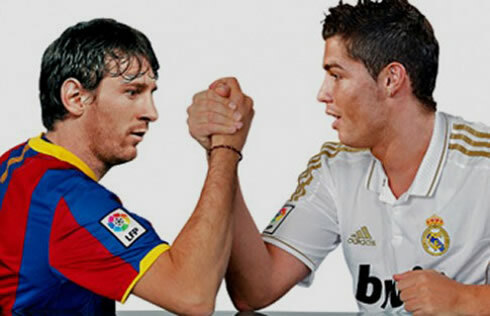 ﻿ Lionel Messi: "Cristiano Ronaldo is a good person and a good player"
30.01.2012 » Lionel Messi: "Cristiano Ronaldo is a good person and a good player"
Lionel Messi got into the weekly cover of the popular U.S. magazine "Time" and granted them an exclusive interview. 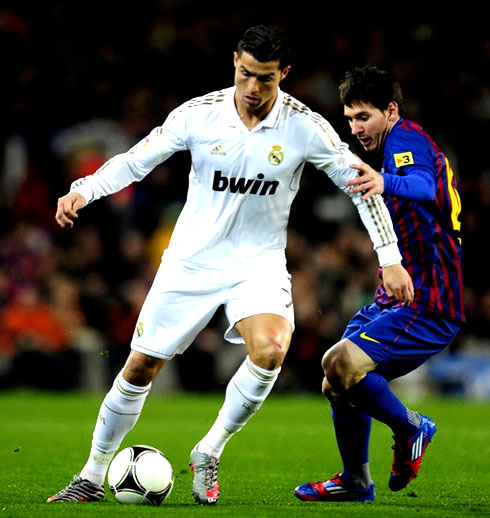 The Argentinian player talked about his lifestyle, his first days in Barcelona's football academy "La Masía" and disclosed a few details of what he thinks about Cristiano Ronaldo. 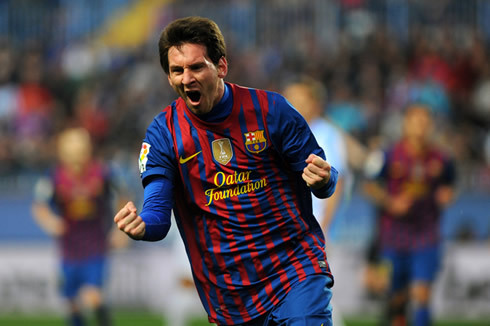 Barcelona's star player, Lionel Messi, granted an interview to "Time" magazine this past week, on which he addressed several interesting topics. Usually, both Cristiano Ronaldo and Lionel Messi avoid to talk about each other whenever they are asked to, but this time, the Argentinian had a few kind words reserved for the Portuguese and Real Madrid star. This interview wasn't the only reason why the Argentinian got into the spotlights over the last days though, since he also stepped into the middle of a recent controversy this last weekend due to his statements about a few Spanish referees being arrogant, just moments after Barça dropped two valuable points in La Liga, as a result of a goalless draw against Villarreal. 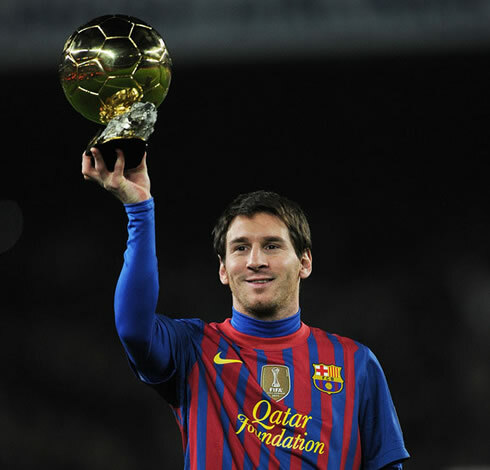 Messi started the interview by revealing how he looks at his own success. Messi: "Every year, I always go with the objective of trying to win every title, without the concern of comparing it, to what we have achieved in the previous years. What happened in the past, stays in the past. Everything happens so quickly, that we just don't have time to stop and admire what we achieve. 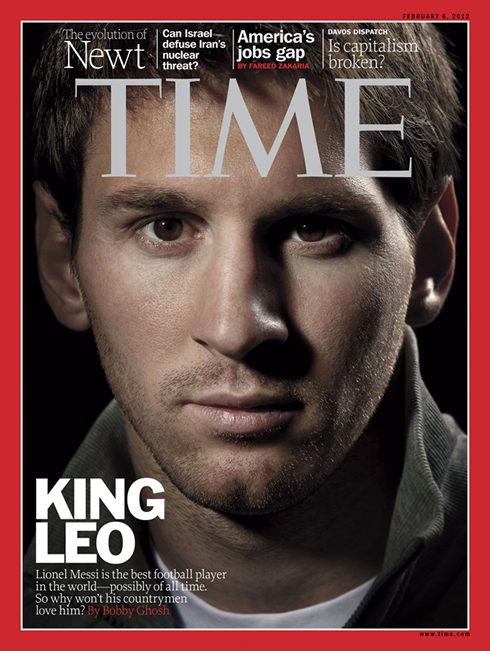 I'll have time to do that when I retire...", started by disclosing the Argentinian player on this interview to "Time" magazine. Regarding how the Argentinian believes his game has changed and improved, he naturally recognized how important Pep Guardiola has been so far. 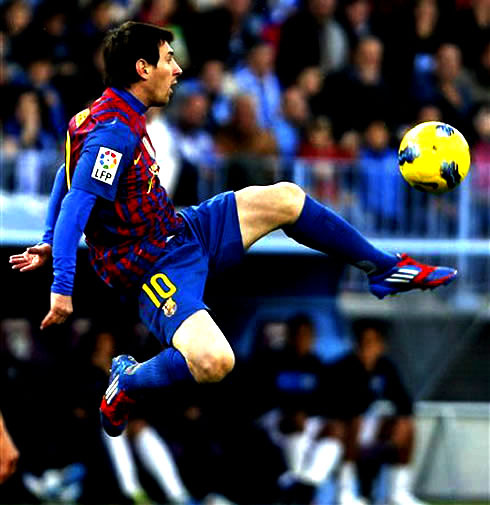 Messi: "I keep growing and improving as a player every year. I had the luck to start playing very young and always surrounded with very good teammates, which definately helped me a lot in becoming the player I am today. Then Guardiola arrived and I improved my tactical awareness in a game, which was one of my biggest flaws. I've learned about the right situations during a game where I'm allowed to simply stop when we don't have the ball. That allows the team to be better and stronger when we regain the ball possession", explained Messi when looking at a few details of his game where he believes to have improved over the last years. 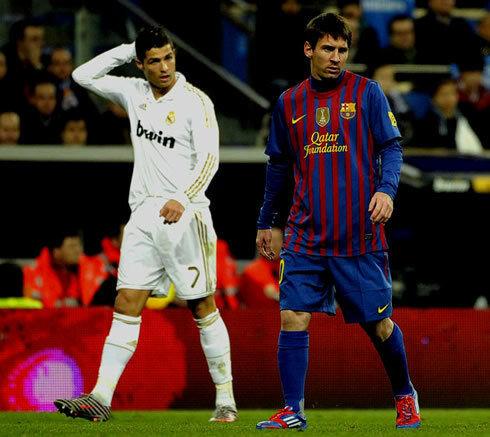 One of the biggest differences that everyone can immediatly spot about Cristiano Ronaldo and Lionel Messi is their lifestyle. While the Portuguese player doesn't mind going out to a few night clubs or fancy restaurants whenever he's on vacations, Messi prefers to keep a low profile and doesn't go out that much, even when he's allowed to, during Summer breaks at the end of the season. 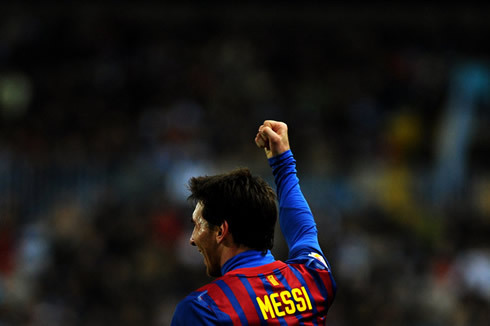 Messi: "It has always been like that with me, every since I was a little kid. I put all my focus into football and that's where I devoted most of my time so far. When I was younger, I often got invited by friends to go out at night, but I always declined it since I had to go practice the day after. Please don't get me wrong, as I like to go out, but it's a matter of knowing when we can and when we can't. That's one of the main reasons why I always say I didn't change much since I was a kid", pointed out Barcelona's key player, Leo Messi. Many professional football players often mention that it isn't easy to reach the status they have today and they always insist in putting a big emphasis on the sacrifices they had to make. Cristiano Ronaldo has done that several times in past interviews and Lionel Messi shares the same opinion. Messi: "It has always been my goal to become a professional football player, so I knew for the entire time that I would have to make a lot of sacrifices. One of biggest sacrifices took place when I came to Spain, leaving my family behind in Argentina, so I could start a new life. I was forced by the circumstances to change my friends, the people I knew and everything that comes with it. But this didn't happen for no reason, since it was necessary to accomplish my dream of becoming a professional football player. That is why I don't go to party or do a lot of other things that could have shifted my path", revealed "La Pulga", one of the few nicknames Messi has. Similarly to Cristiano Ronaldo, who also left his family behind in Madeira when still a kid, coming to Lisbon to play for Sporting C.P., Messi also left his loved ones behind and found in Barcelona's "La Masía" his second home. Messi: "It helped me a lot because I left everything behind in Argentina and it was like they turned me into a new family member in the "Masía". There were plenty of young kids in a similar situation as mine, coming from many different places, so we all helped each other. We all managed to be truly happy there, as we spent plenty of time together and we created really strong bonds with each other", pointed out Messi, when talking about his first years in Spain, when he was integrated in Barcelona's football academy, "La Masía". The topic of the interview then changed to Cristiano Ronaldo, as the journalist attempted to know what Messi thinks of the Portuguese and Real Madrid star. 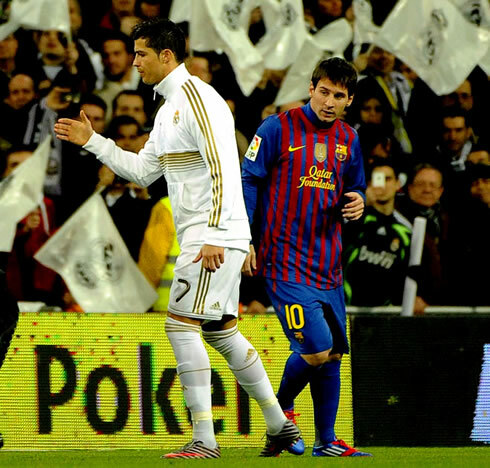 Messi: "I think Cristiano Ronaldo is a good person and a good player, who brings a lot to Real Madrid. 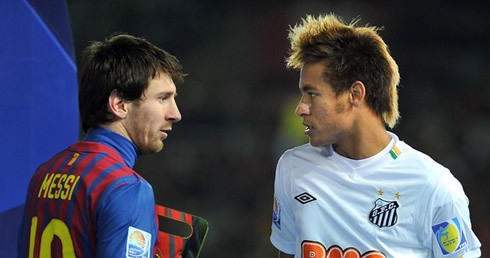 He certainly can decide the fate of a game in any given moment", started by noting the Argentinian player. He then kept on by sharing his view on whether their rivalry could have helped him somehow to evolve as a football player. Messi: "I honestly don't think so. I never worried or tried to compare myself with other players. In my mind, I always set as my objective to become a better player each year, both individually and as a team, and if Cristiano Ronaldo wasn't playing, my targets would be exactly the same." 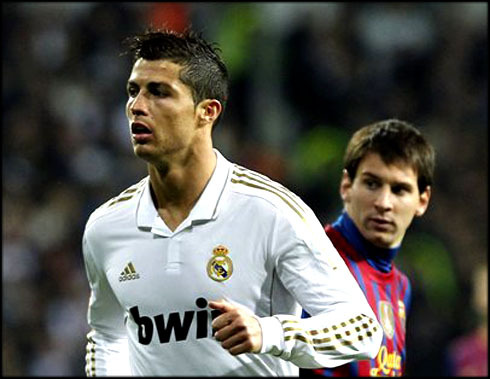 This season, both Cristiano Ronaldo and Lionel Messi have been scoring a large amount of goals, which could actually allow them to set new personal records at the end of the season. In La Liga, Ronaldo leads the Pichichi rankings table, with 24 goals, ahead of Messi who has 22 goals, with 20 games played so far and 18 left to be played. 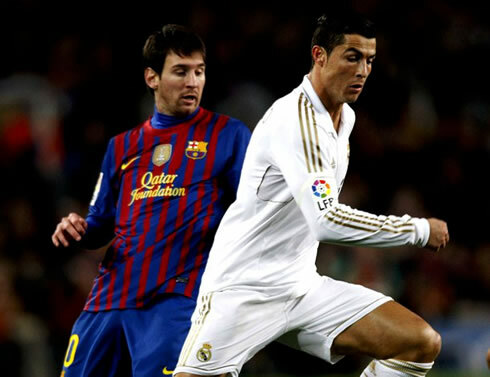 When asked if he feels an additional pressure whenever Cristiano Ronaldo scores in a game, Messi immediatly denied it, as he refuses to look at it as a personal rivalry, but rather as a club rivalry. 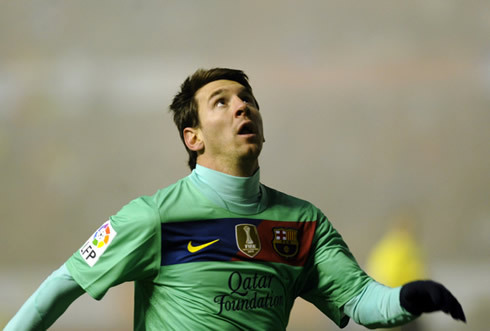 Messi: "No, I don't feel pressure to score just because Ronaldo did it. I'm interested on how Real Madrid does in their games, because they compete against us in the same league where we play. They are our biggest rivals, because year after year, we dispute the title with them, so it's a natural thing to happen. But there's no personal rivalry against Cristiano Ronaldo...", remarked Leo Messi when concluding his thoughts on the Portuguese player. After beating Zaragoza, Real Madrid are now preparing their next scheduled match for La Liga. The Merengues next game will be against Getafe, this Saturday. In the meanwhile, you can watch Everton vs Manchester City, but also Wolves vs Liverpool and Manchester United vs Stoke City from our football live streams section. Cristiano Ronaldo is expected to be on the line-up against Getafe, in the next weekend.